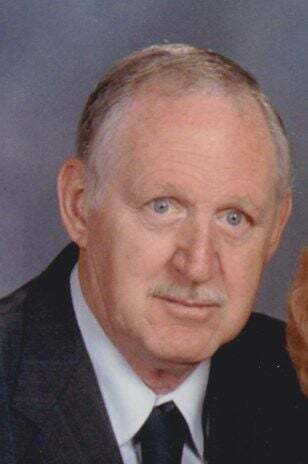 DAVENPORT - Patrick Allen Costello, 82, of Davenport, passed away on Saturday, April 13, 2019. Funeral Mass will be held at 10 a.m. on Wednesday, April 17, 2019, at Sacred Heart Cathedral. Visitation will begin at 9 a.m. until the time of service at the church. He will be laid to rest in Davenport Memorial Park. In lieu of flowers, memorials may be made to Sacred Heart Cathedral or Genesis Hospice. Online condolences may be expressed at www.rungemortuary.com. Patrick was born August 26, 1936, to Leonard Costello and Beulah Zugg in Davenport. He attended St. Ambrose Academy. He was united in marriage to Eva “Kaye” Kennedy on October 5, 1957, in Bettendorf. He worked as a supervisor at Long Manufacturing, last working at Sivyer Steel. Patrick loved hunting, fishing and bowling. He was a lifetime member of Sacred Heart Cathedral and former member of AWS, NRA, Oak Hill Gun Club, Milan Gun Club and Illinois Police Association. He participated in competition shooting and won numerous trophies and medals. Patrick went on a Tiger Cruise aboard USS Carl Vinson Navy Aircraft Carrier. He was very adventurous, skydiving at 59. He uncovered the time capsule at Sacred Heart School and recently met Cardinal Dolan. Those left to cherish his memory are his wife, Kaye; children: Julie (George) Froumis, Glendale, Ariz., Jeffrey (Noreen) Costello, Phoenix, Ariz., Mary (Randy) Larson, Stansbury Park, Utah, and Karen (Jeff) Straetker, Davenport, Iowa; grandchildren: Katie (Andres) Galvis, Suzanne (Jesse) Touchtone, Chris (Kristina) Bolton, Andrew (Catarina) Bolton, Jennifer Bolton and Claire Straetker; eleven great-grandchildren; sister, Mary Osterman; and numerous cousins, nieces and nephews.